It’s always funny to have something hand-made out of plain domestic small thing. 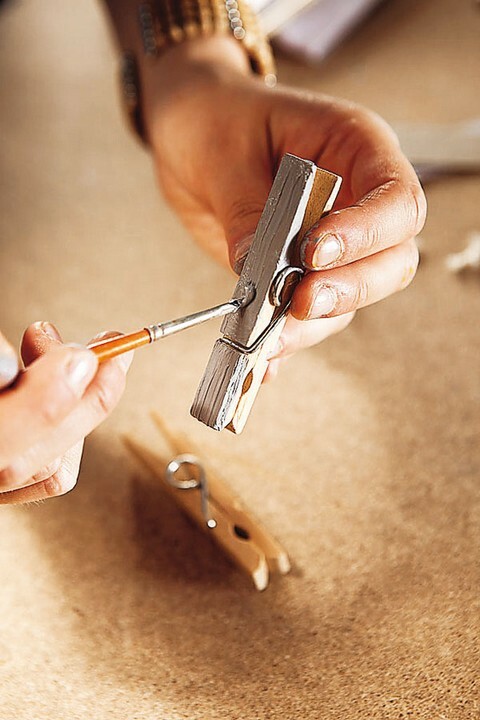 From today’s DIY you’ll find out how to make an amusing mirror frame from common clothes pegs. And considering that this funny “fence” is totally wooden, you can boast of having a piece of décor in top-trend eco-style. So, let’s begin! Step 1. 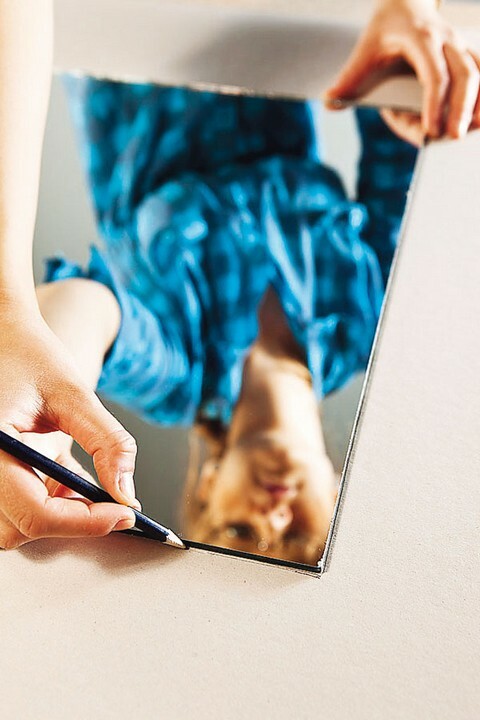 Put your mirror on the cardboard sheet and draw a line with a pencil around its perimeter. Step 2. Draw outer edges of the future frame: measure the length of the peg and indent by the respective distance from the line made in step 1. Cut out the excessive cardboard around the edges. Step 3. 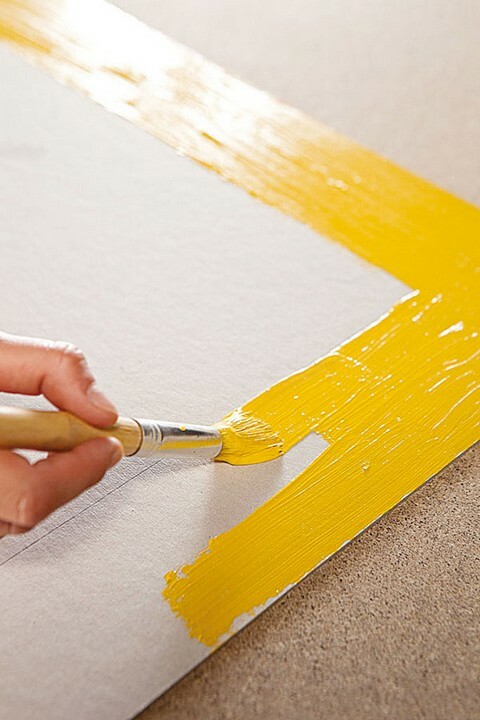 Paint the surface of the frame chosen color keeping the sides in mind. Step 4. Drill two holes on the upper side of the frame, insert a piece of rope from the other side to get a hanging loop and fix it with knots. Step 5. 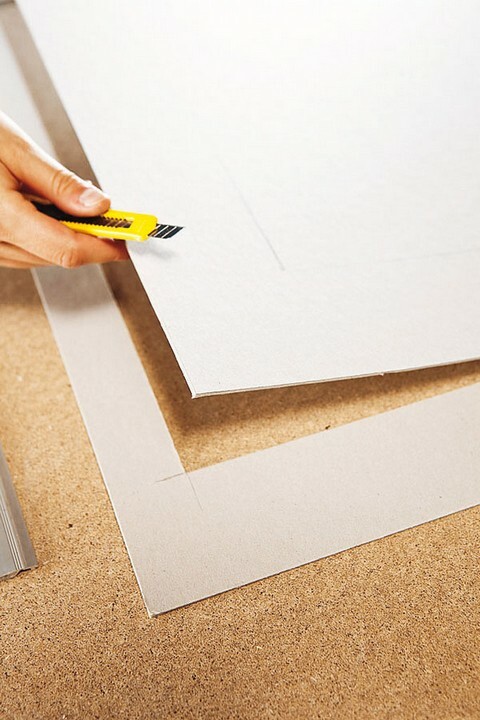 Coat the internal part of the frame with special glass-to-cardboard or mirror glue, trying not to step outside of the line. Step 6. Carefully put the mirror on the glued part of the frame and press down moving from the middle towards the edges to have it safely secured. Step 7. 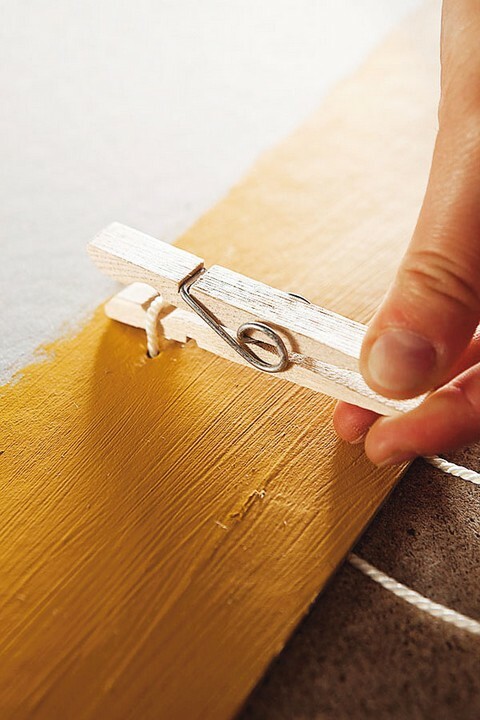 Apply glue to the clothes pegs and stick them to the frame on top and bottom parts. Make sure that the quantity and distance between pegs is identical in both rows. Step 8. To dress up your frame a little bit, you may paint the pegs for side parts in different colors. 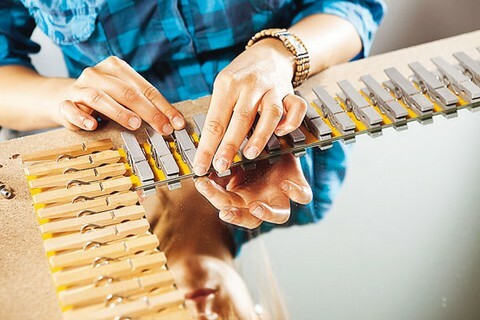 In this case natural light wood color of pegs in top and bottom rows is matched by painted silvery pins on side parts. 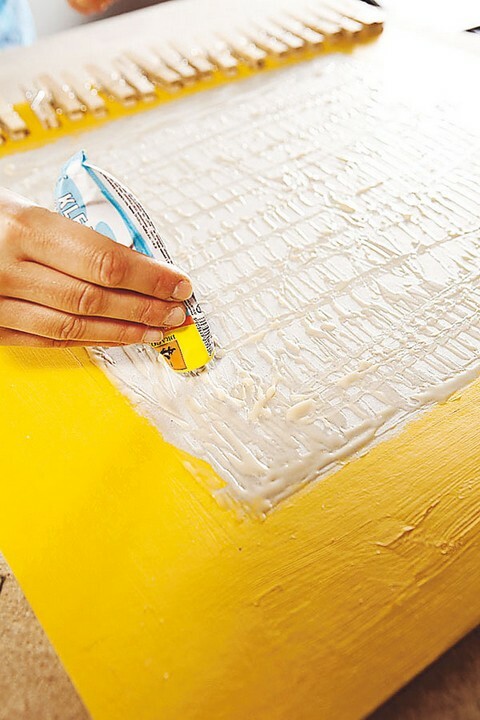 Before sticking to the frame, let them dry out completely. Step 9. 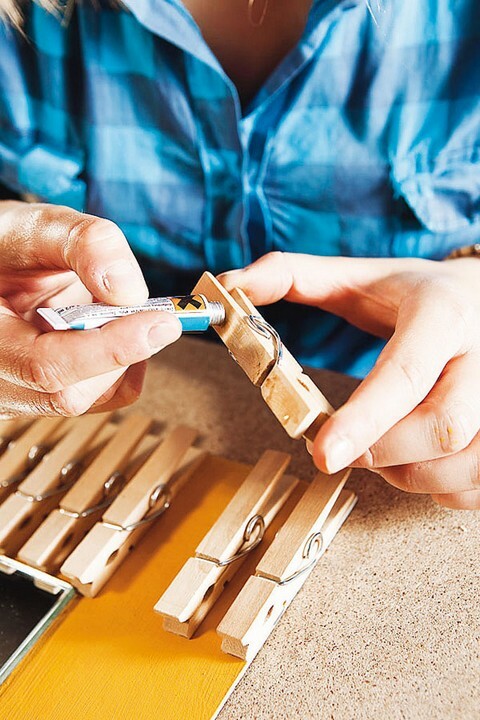 Then fix the remaining pegs just like in step 8. Well done! 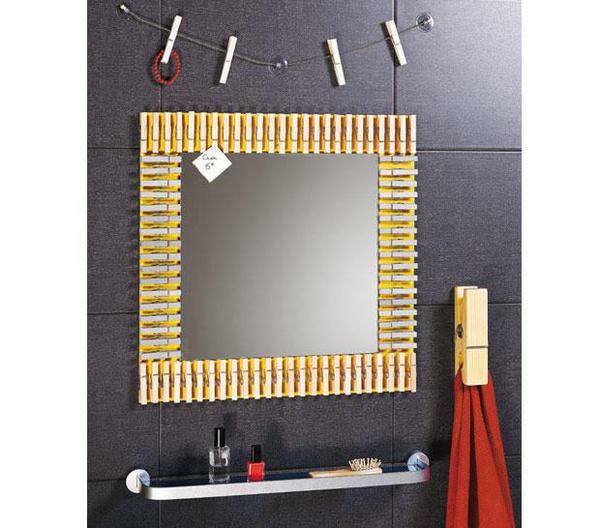 Your original hand-made mirror frame is ready! And as a bonus, you may use clothespins for leaving notes.